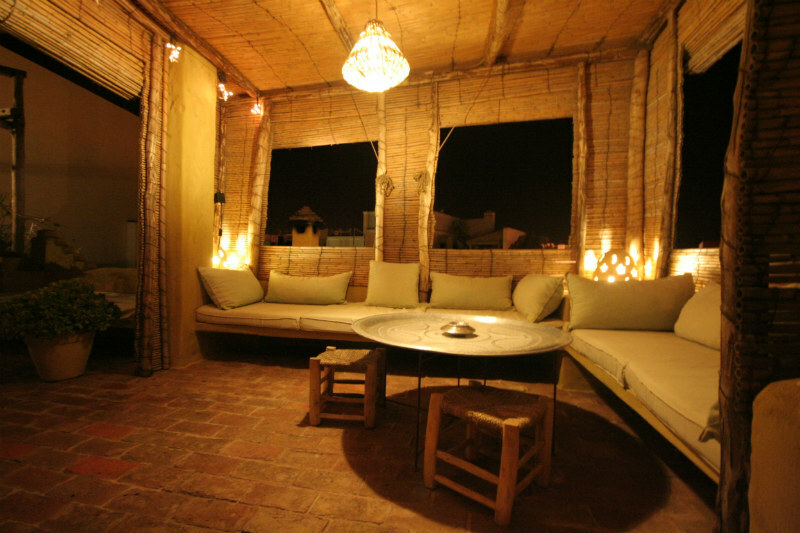 Dar Azaouia - Luxury Riad in Marrakech, Morocco. 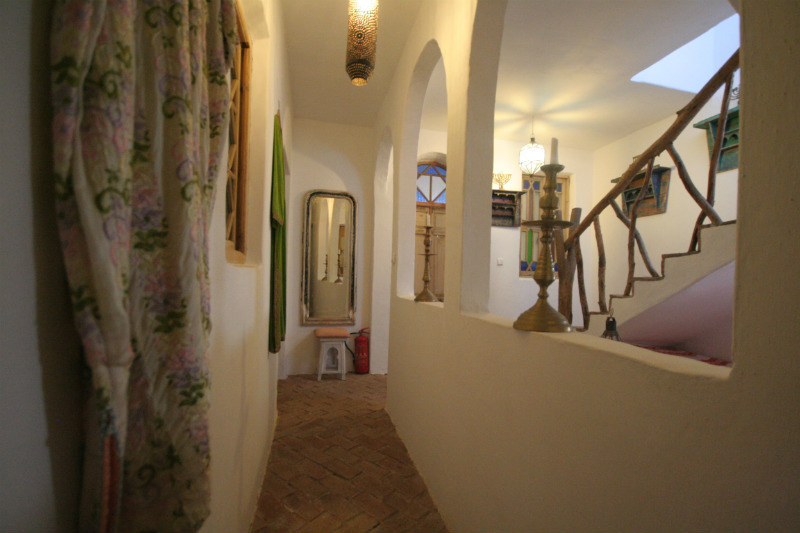 Book Dar Azaouia Today with Hip Marrakech - specialists in English Speaking Accommodation in Marrakesh, Morocco. 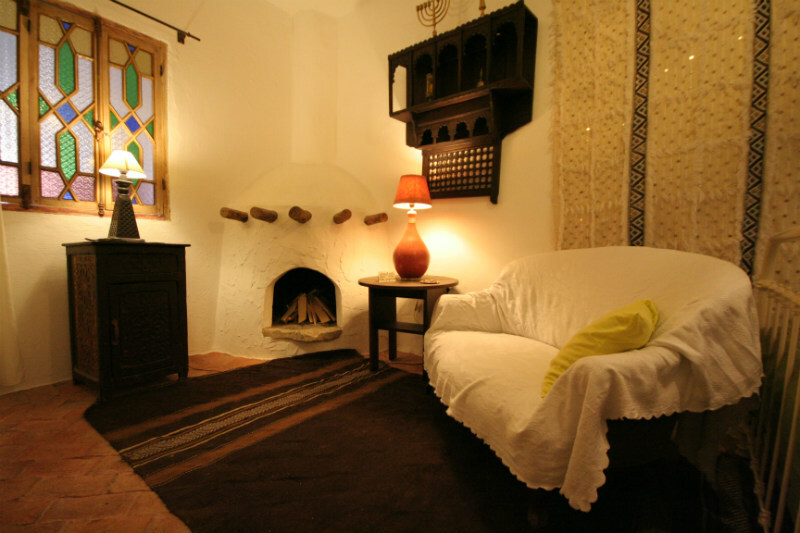 "A fresh, cultural and deeply relaxing home away from home"
Assilah: This charming gem of a Riad located in the old Jewish quarter of Assilah has been passionately created by Belgium owner Caroline and who has created a very personal must visit Riad in Morocco. Consisting of 4 uniquely designed rooms, Dar Azaouia is a welcoming coastal home away from home. 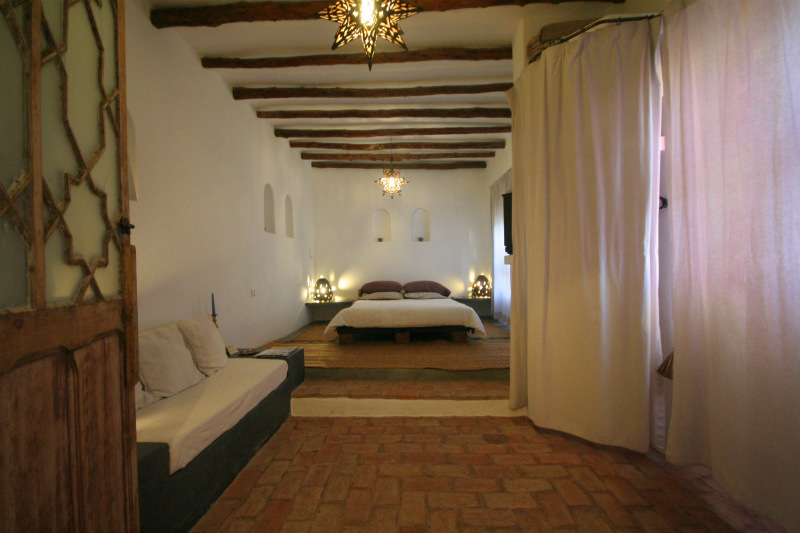 Rooms are furnished in a fresh contemporary Moroccan style with a rural European twist to make your stay in Morocco a fine juxtapose between the local surrounding and very tasteful modern luxuries. 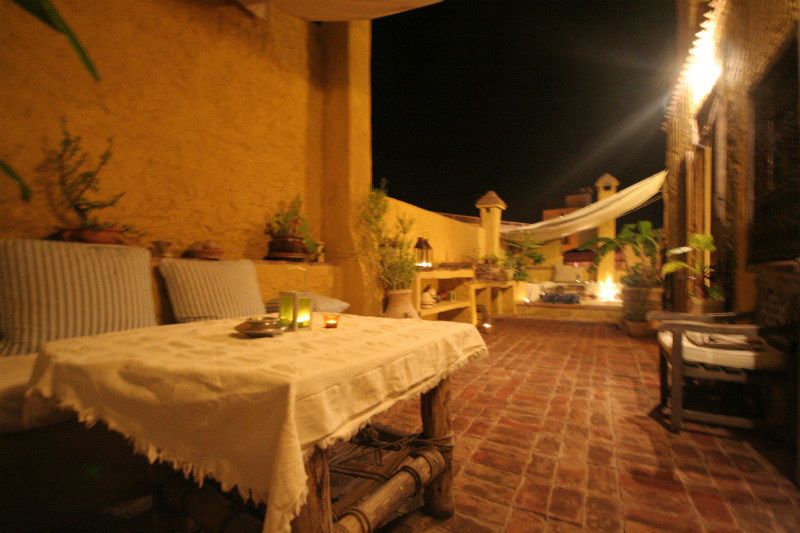 The spacious roof terrace at Dar Azaouia has 2 levels with a combination of intimate seating areas for a romantic stay in Morocco or larger traditional Moroccan benches perfect for a family or group holiday in Assilah. 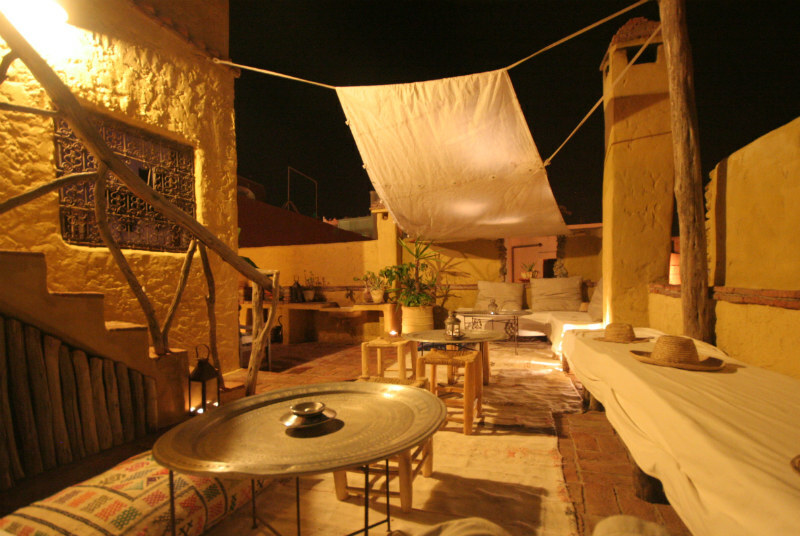 Cream fabric sails enclose some of the roof terrace along with a cain woven salon on the upper terrace looking out over the medina and rooftops of Assilah perfectly complimented by a collection of relaxing Moroccan soundtracks. Caroline’s personal service at Dar Azaouia makes a stay in Assilah a mixture of deep relaxation and cultural enlightenment, with vast knowledge of the area and passion for perfectly balanced hospitality. A talented chef of international cuisine, Caroline is able to produce a plethora of delicious meals. 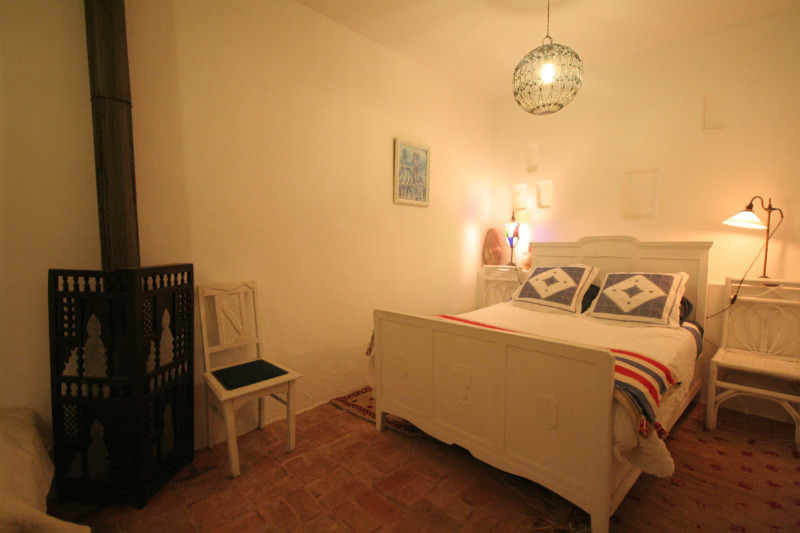 Located on the 1st floor of Dar Azaouia, Le Pain Nu is a large double room that can accommodate an extra 2 beds upon request with room to spare. This room has a dome fireplace and cosy intimate lighting. 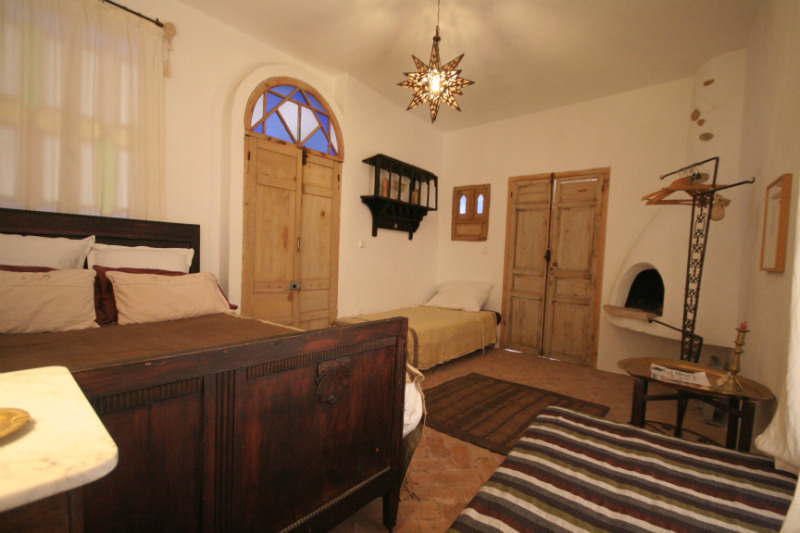 The tall wooden double bed is in a rustic townhouse style, for an added romantic atmosphere. Le Pain Nu has a large bathroom crafted out of tadelakt and beautiful large red stone flooring. 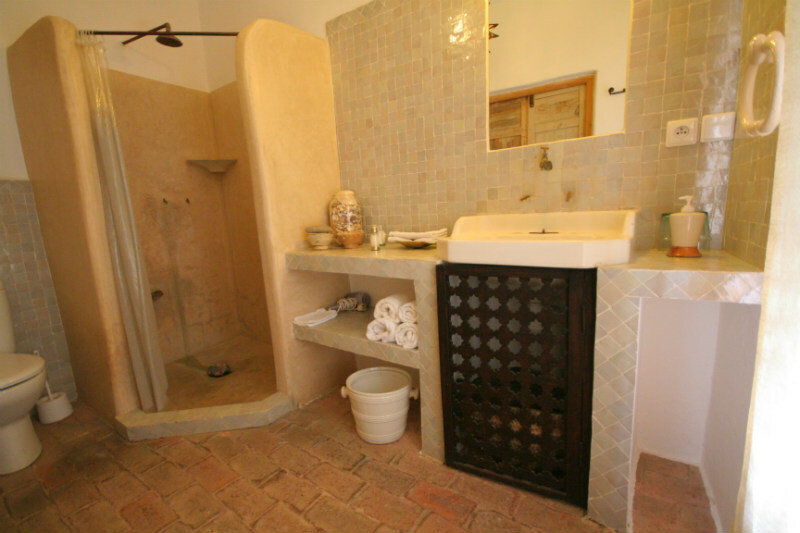 This bathroom at Dar Azaouia has a shower and wide wash basin. 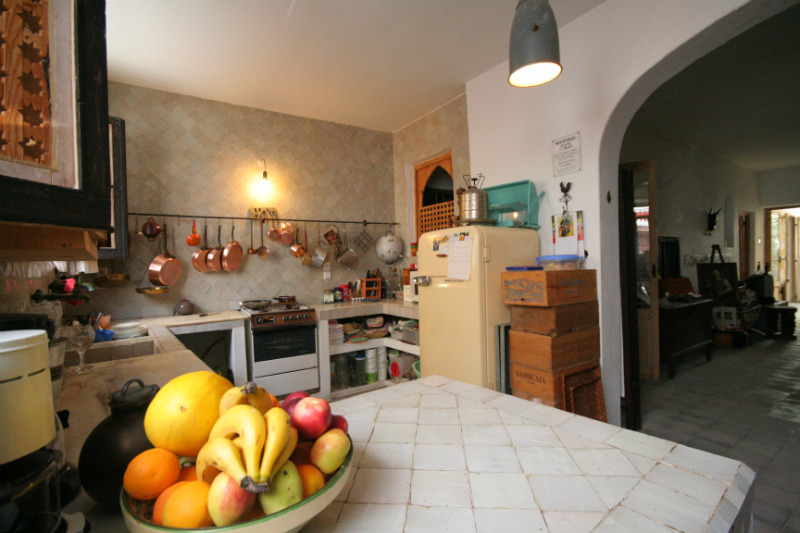 Well suited for a group holiday in Morocco or small family, Le Pain Nu has a genuine warm feel. 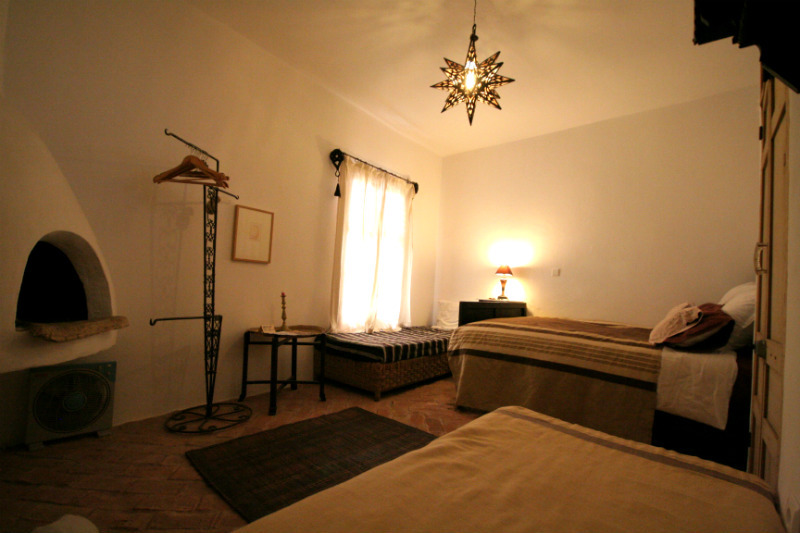 This fresh spacious room is located on the 1st floor of Dar Azaouia. The tall rural countryside wooden frame bed sits alongside beautiful retro Moroccan bedside lighting and multi-colored stained glass doors. 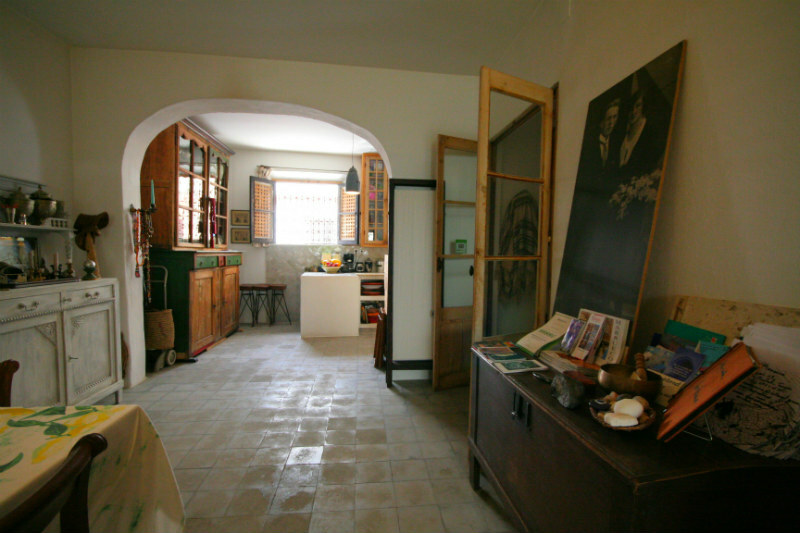 The floor is decorated in rustic red brick with large Berber rugs to cover. An intimate dressing table sits at the end of this room with giant antique mirror: a very personal and enticing addition to this room at Dar Azaouia. As is traditional in Morocco, the windows face inwards to the central patio giving a good amount of natural light. The spacious bathroom is designed in a dark rustic ornate Moroccan style, along with the large shower for 2, creates a romantic sensual atmosphere. 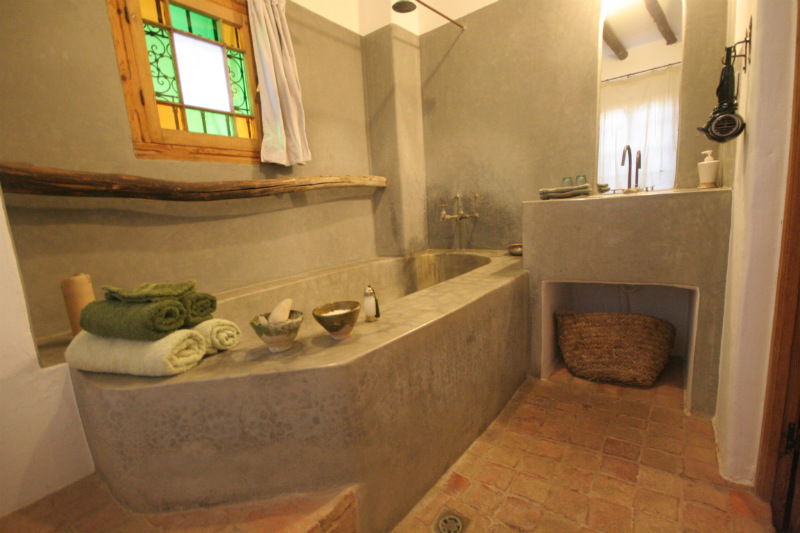 Green clay for face masks and sea salt for deep cleansing add to the charm of this bathroom. 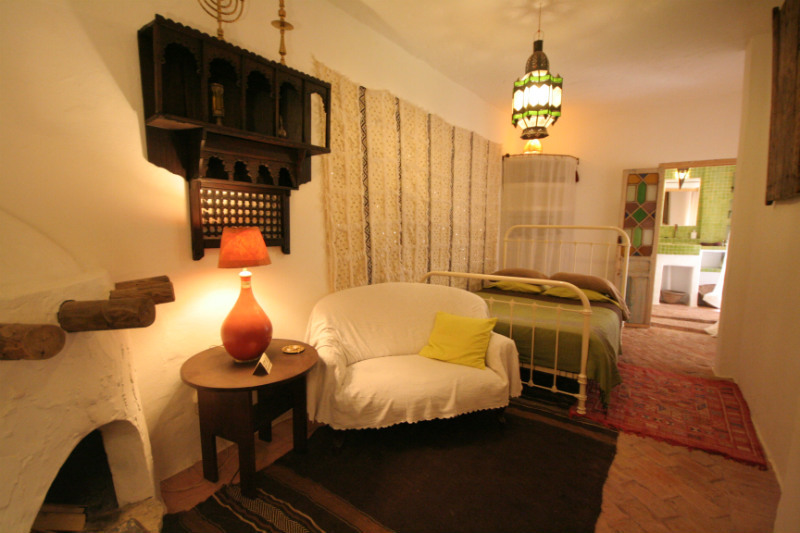 An attractive homely room located on the 1st floor of Dar Azaouia, Une Enfance au Harem mixes a traditional and contemporary Moroccan with 40s European townhouse to create beautiful warming atmosphere. The retro white metal bedframe sits alongside a traditional Moroccan bride’s quilt given to her on her wedding day. The ornate green light cover gives a darker more sensual feel this room. The salon has a comfy 2 person sofa and working dome fireplace for slightly colder winter evenings. 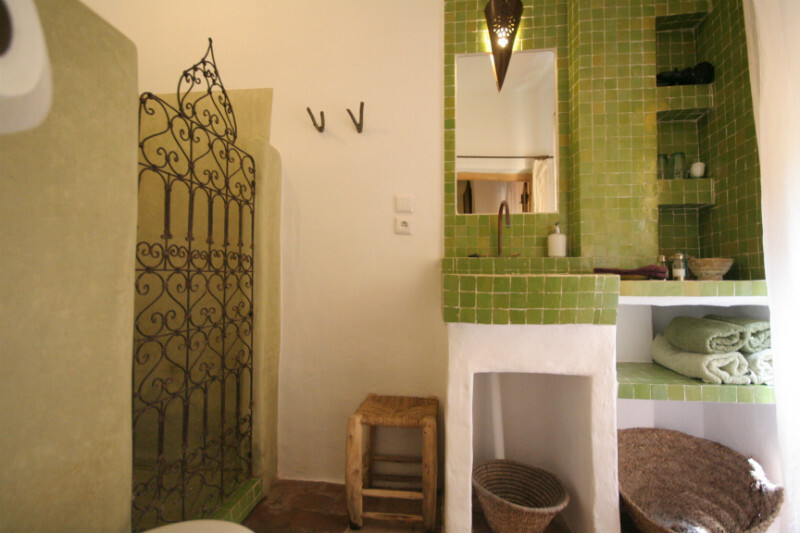 The green tiled bathroom is spacious and has a large tadelakt shower with swinging metal door. As with all rooms at Dar Azaouia, green clay and seasalt are provided for a personal deeply relaxing spa session. Popularly known as the roof terrace room, L’enfant du sable is a spacious room located at the top of Dar Azaouia opening out onto the main terrace. 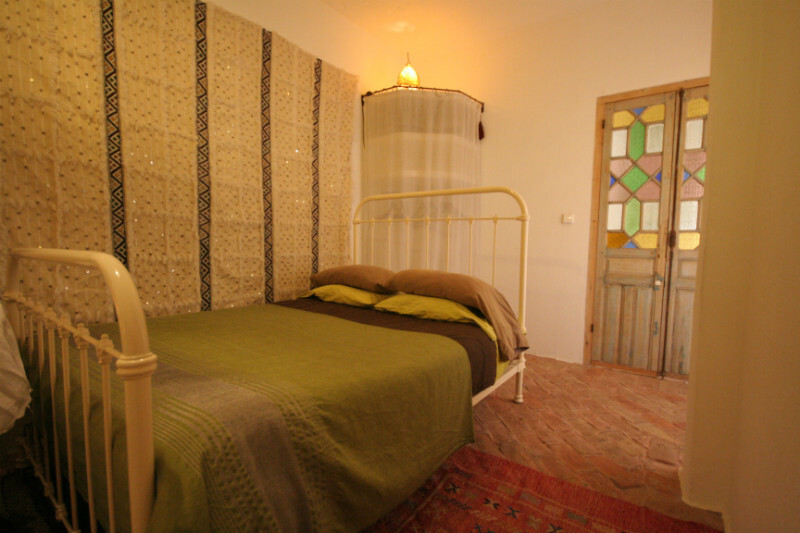 With a large double bed, stained glass windows and intimate lighting L’enfant du sable is very well suited for a honeymoon in Morocco or romantic getaway by the sea. 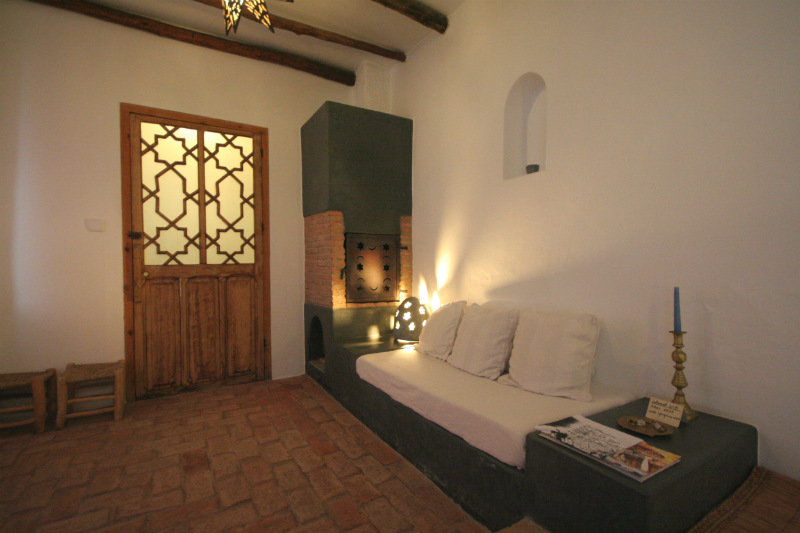 L’enfant du sable has a small salon hand crafted from the traditional building material of tadelakt, with a fireplace. The ceiling is lined with dark cedar beams contrasting well with the white walls. 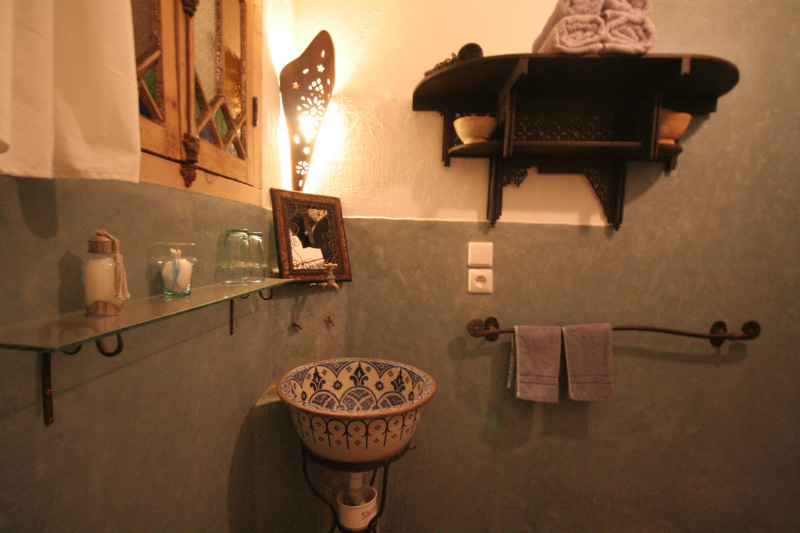 This bathroom at Dar Azaouia has been furnished out of tadelakt, with large bathtub, sink and beautiful stained glass window allowing colorful rays of light in. The copper double shower is a welcome 40s addition to this fresh and warming bathroom. 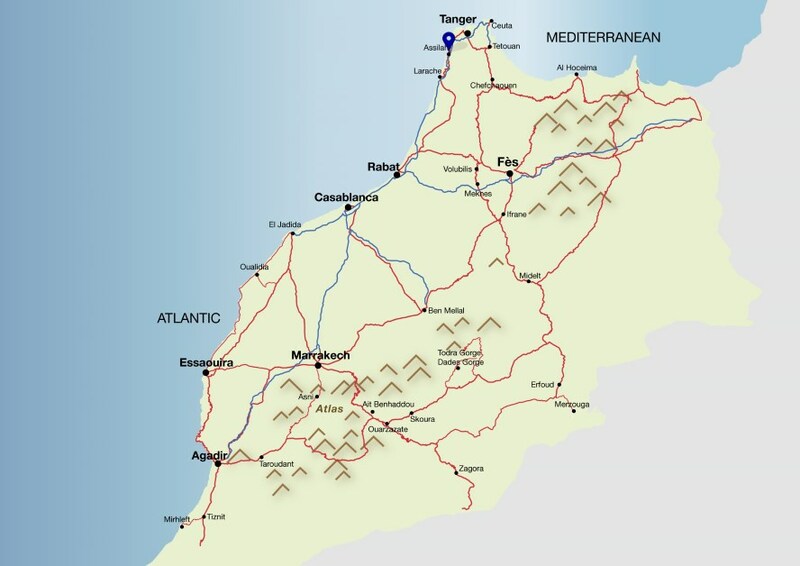 The base rate price at Dar Azaouia is in pounds, euros, or Moroccan dirhams and exchange rates are approximate. Heavily influenced by the abundance of fresh fish from the Atlantic, guest are able to taste a well rounded menu of Moroccan and Mediterranean dishes to be enjoyed in the kitchen dining room or 2 tiered sensually lit roof terrace. 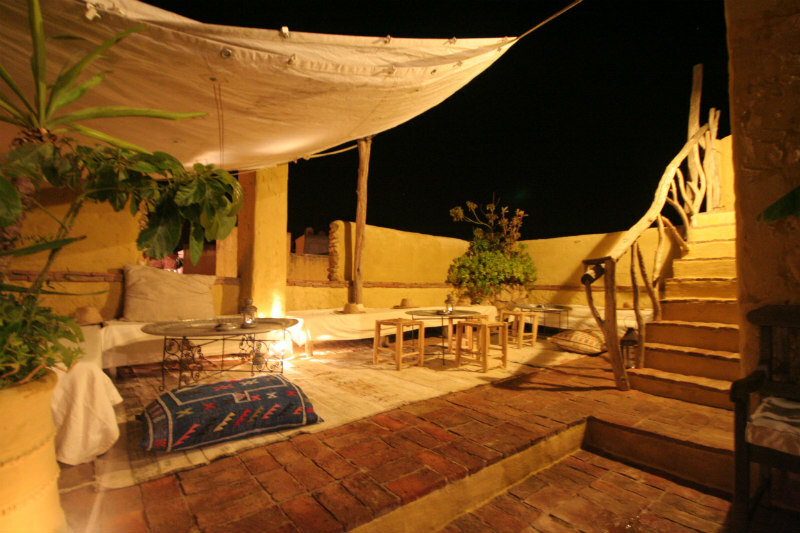 Decorated in an intimate European/ Moroccan style, Restaurante Al Alba is located in the nearby Riad Al Alba. Diners can choose from a range of contemporary and genuine Moroccan cuisine and between interior or exterior seating. Chef owned and run, La Perle is a sophisticated yet friendly atmospheric restaurant in Ouarzazate offering a menu of inventive cuisine in a Parisian bistro style. A Spanish style seafood restaurant in Assilah, Casa Garcia is situated opposite the vibrant and welcoming beach and promenade. This small restaurant offers a range of grilled fresh fish caught that day from the nearby port. 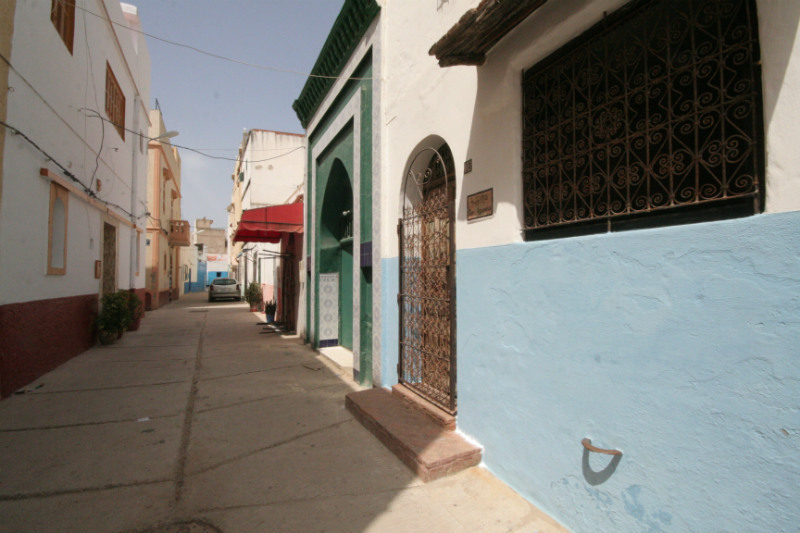 Located in the old Jewish quarter of Assilah, Dar Azaouia is a stones throw from the town centre with it multitude of local eateries and street markets. The seafront promenade is a 5 minute walk and sandy beach 10 minutes. Best Price Guaranteed! All prices match or are lower than those charged directly by Dar Azaouia. We can check availability at Dar Azaouia for you, process your booking and assist you in finding alternative dates and accommodation if your first choice is already taken. 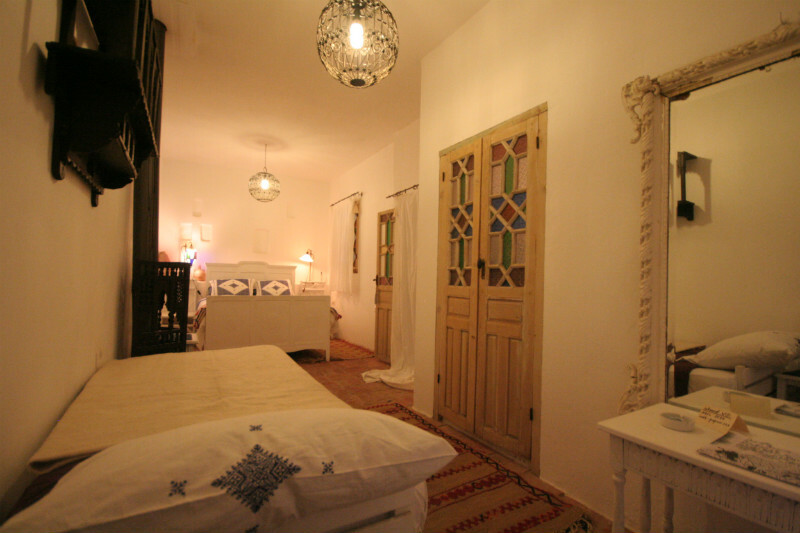 Every member of our team has expert knowledge of each riad including Dar Azaouia and can provide more information about the rooms, the location and how well suited it is to your specific requirements.